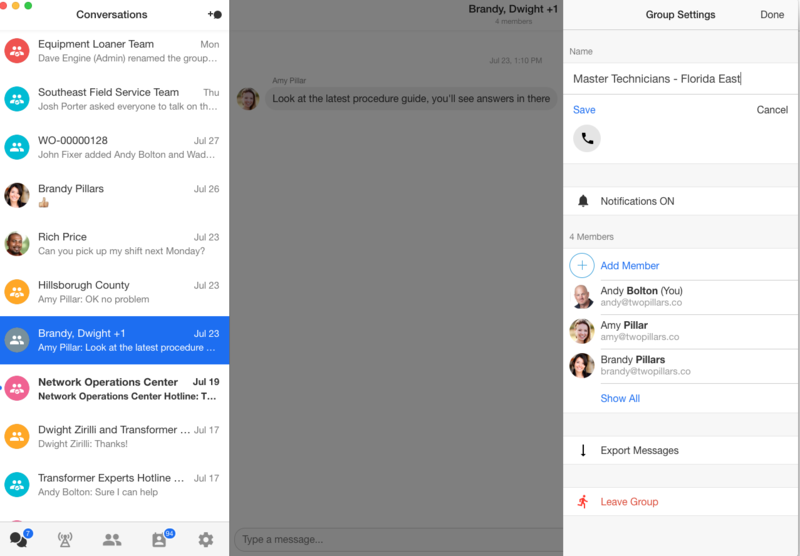 You can rename new or existing conversations on any device by going to the group conversation settings page. Click the information icon (the letter ‘i’ with a circle around it) in the top right corner. 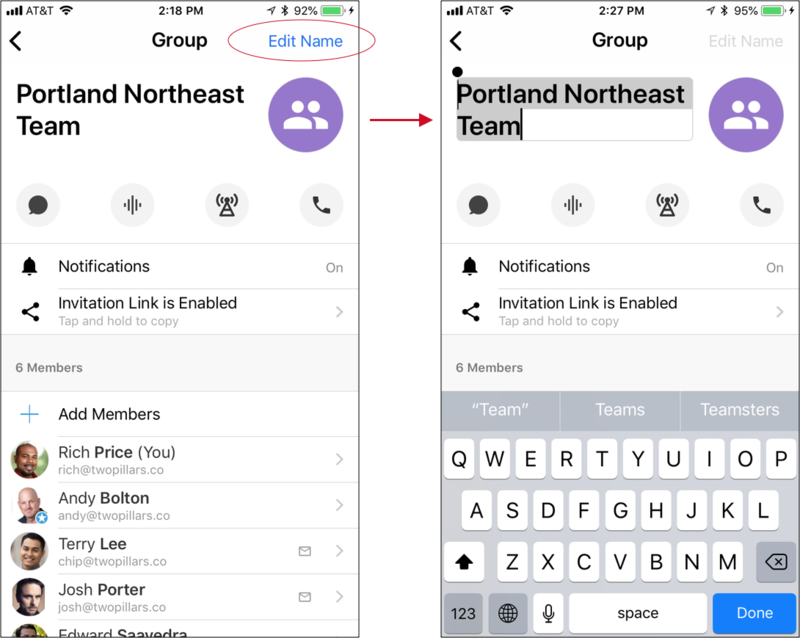 Enter the desired group name, then click done to save your changes. Tap the group name at the top of the screen when you are in the conversation. This will allow you to start typing in a new name or change the name of the group.